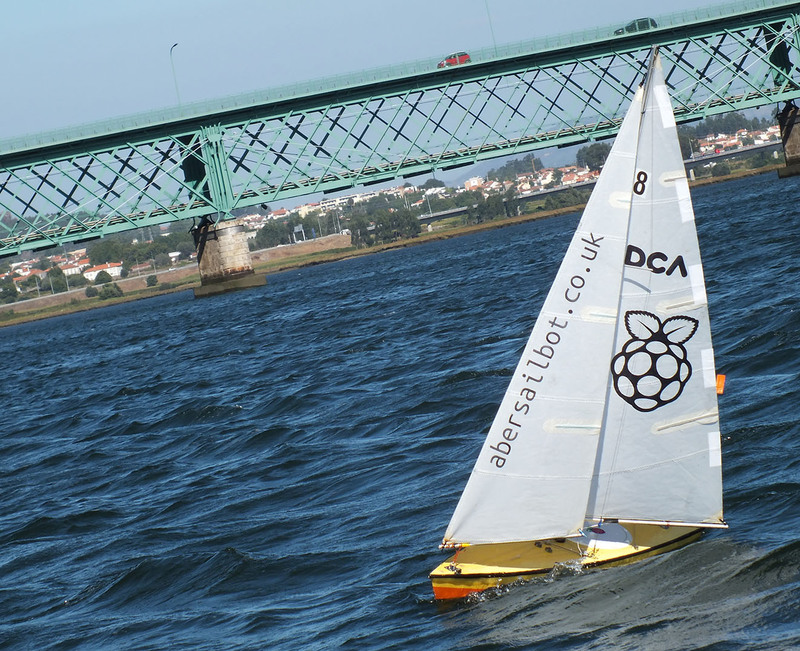 Student led robotic sailing team from Aberystwyth, Wales. If you are a student in Aberystwyth University and interested in joining us, enter your email address by clicking the button below and we'll keep you up to date! 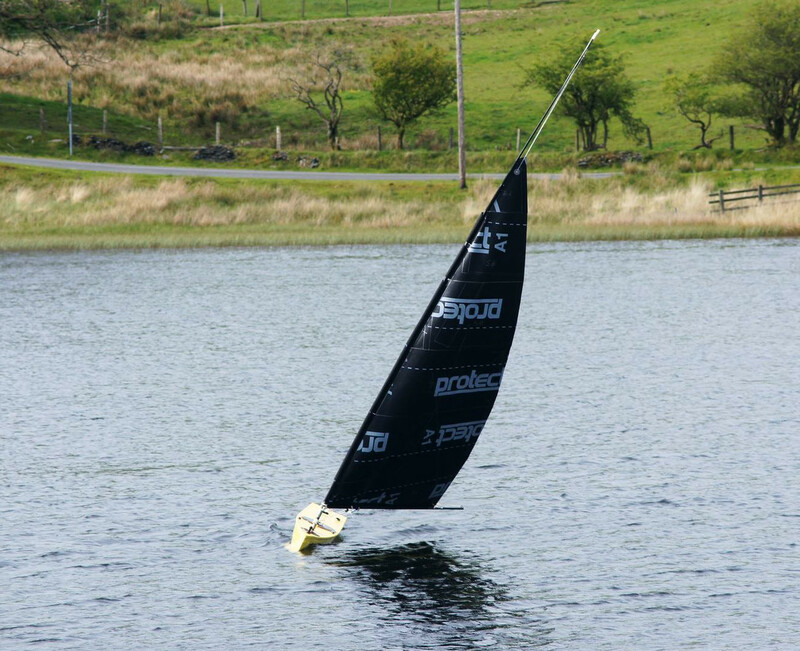 Dewi'r Ddraig is our original robot, a 1.3 metre long MaxiMOOP hull with a 2 metre sail, weighing in at 27KG. Kitty is a 2 metre long boat with a 4 metre sail. Named after her rigging. The worlds most popular micro computer. 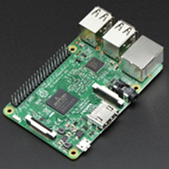 The raspberry pi is the brain of our boats, this tiny computer runs a version of debian and our own software to pilot our boats. Powerful language for powerful software. Most of our high level software is written in python, a powerful high level language that lets us write clean and portable programs. Open and Custom designed hardware. 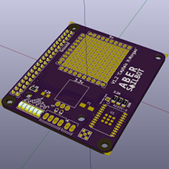 In order to improve reliabilty we make a lot of our own electronics, Of course all of our designs and free and open for anyone to use. Boatd is designed to create a clean separation between the decisions the boat makes, and the lower level hardware actions. This allows the behaviours easy to share between different boats, and easier to test on simulated boats. It centralises the components of a control systems that are common across sailing boats and the various tasks they are required to complete. This includes things such as logging, telemetry and behaviour management. The architecture of boatd is simple. A central daemon exposes a restful API (HTTP + JSON), which can then be controlled from any programming language. Boatd can be extended with plugins. Currently, plugins allow boatd users to monitor boats over the MAVLINK protocol, log GPX files and more. The International Robotic Sailing Regatta (known as Sailbot), is an annual competition historically held in North America, where college and university teams must build and program an autonomous sailing boat to compete in a range of challenges with limited, if any, human interaction to control the boat. WRSC, the World Robotic Sailing Championships, is an annual competition hosted by institutions across the globe. A few years ago it was even hosted by Aberystwyth. WRSC is usually a larger scale event than Sailbot, but with similar challenges and rules. With both student and staff categories, as well as varying sizes and a motor boat class, the competition’s range is expanding year on year. WRSC presents a whole range of new challenges for which we must cater.